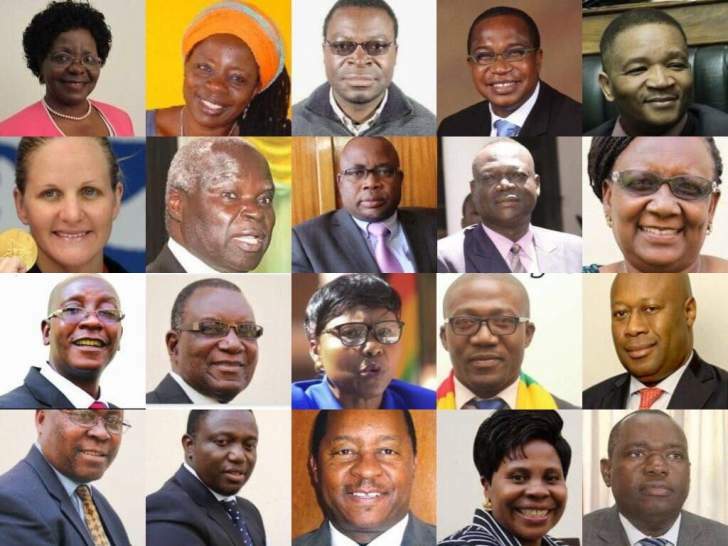 Mnangagwa will today swear-in his newly appointed Cabinet of 20 members, 13 deputy ministers and nine provincial ministers, to come up with policies that can steer the nation out of its prolonged doldrums. The swearing-in ceremony takes place at 7am at State House. In the new Cabinet line-up, President Mnangagwa dropped several big names from previous administrations, while blending new talent with experience. President Mnangagwa's "Dream Team" is expected to address a host of challenges, from persistent fiscal and balance of payments deficits to infrastructural and social decay accruing from the previous administration. I am honoured to be appointed by President Mnangagwa as Zimbabwe’s Minister of Youth, Sports, Art and Recreation. I will continue to carry our Flag with pride and dedication of service so we can come together and take Zimbabwe forward. 12:03 - After the swearing in, the President, Vice Presidents and the sworn in officials go for a photo shoot. 11:41 - It is now time for deputy minister to be sworn in. 11:35 – President Mnangagwa now calls upon the two ministers of state in VPs offices, Hon. Evelyne Ndlovu and Hon. Davis Marapira to take oath of office. 11:28 – Hon. Judith Ncube (Bulawayo), Hon. Mary Mliswa (Mashonaland West), Hon. Apollonia Munzverengi (Mashonaland East), Hon. Monica Mavhunga (Mashonaland Central), Hon. Ellen Gwaradzimba (Manicaland), Hon. Larry Mavhima (Midlands), Hon. Ezra Chadzamira (Masvingo), Hon. Abednico Ncube (Matabeleland South) and Matabeleland North’s Hon. Richard Moyo sign the paperwork confirming their appointment before the President. 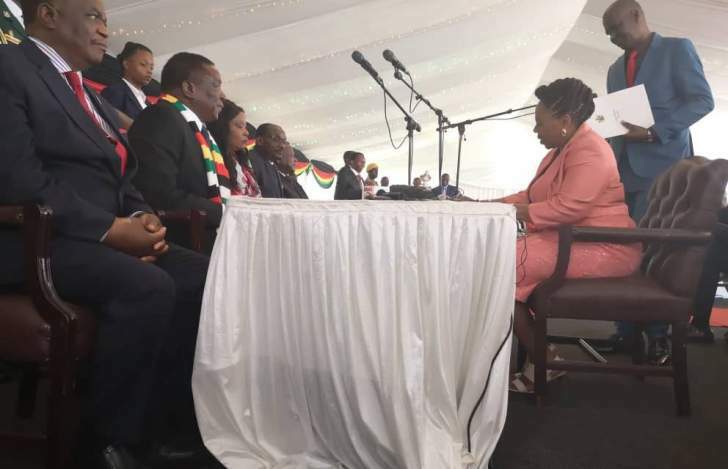 11:21 – Professor Paul Mavima is the last cabinet minister to sign, and President Mnangagwa now reads out the law on the appointment and swearing in of provincial ministers, before asking them to take an oath. 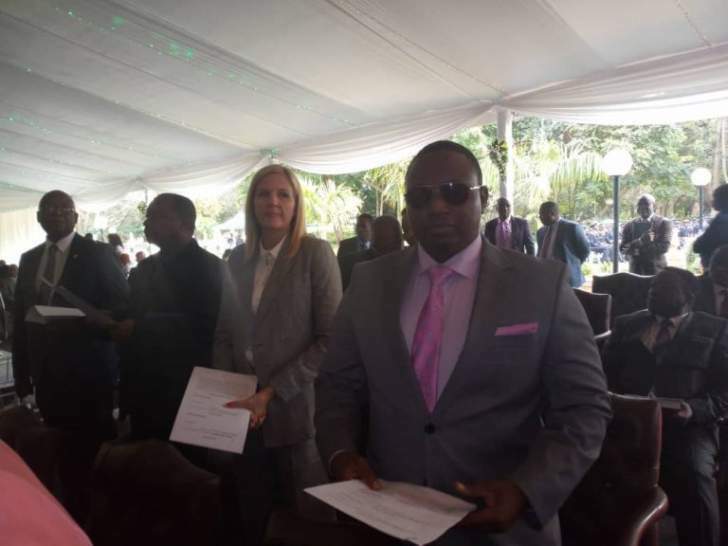 11:14 – Ministers Joel Biggie Matiza, Kazembe Kazembe, Monica Mutsvanga, Winstone Chitando also sign in that order. 11:09 – And then, Hon. Kirsty Coventry signs, followed by Hon. Joel Biggie Matiza. 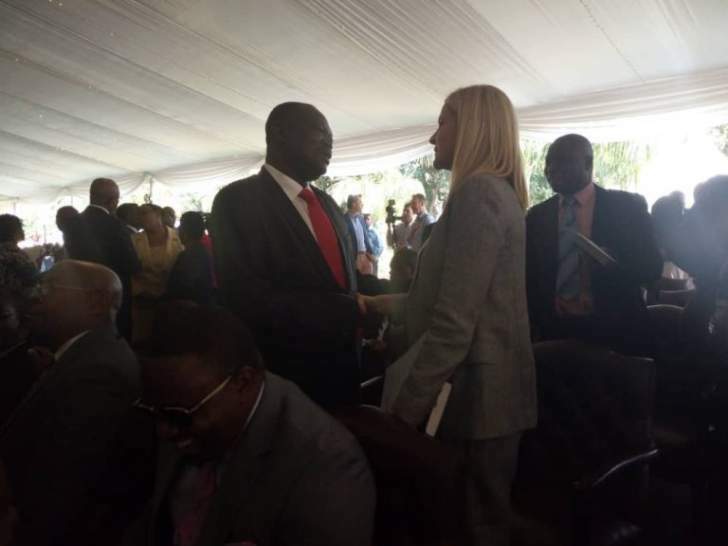 11:07 – Then comes Dr Obediah Moyo, the Minister of Health and Child Care and then Cde Sekesai Nzenza. 11:06 – Hon. Mangaliso Ndlovu, the new Industry and Commerce Minister, signs before the President. 11:03 – Upcomes the Agriculture Minister Air Chief Marshal Perrence Shiri, followed by Cde Sithembiso Nyoni. 11:01 – Cde Prisca Mupfumira has also done it. 10:59 – Foreign Affairs and International Trade Minister, Retired Lt. Gen Sibusiso Moyo is next. 10:58 – Cde Cain Mathema, the new Home Affairs Minister, signs. 10:56 – Now comes Cde Joram Gumbo, who has been moved from the Transport portfolio to Energy, to sign before the President. 10:55- The new Defence Minister, Cde Oppah Muchinguri Kashiri is second to sign, followed by Cde July Moyo. 10:52 – The new Finance Minister, Professor Mthuli Ncube is the first to sign papers before the President and his two Vice Presidents. 10:50 – President Mnangagwa reads out the law that empowers him to appoint a cabinet and then asks the ministers to say out their oath of office as a group. 10:44 – After a long wait, the proceedings begin with the singing of the National Anthem. Remember, you can watch our live coverage of the cabinet swearing in ceremony on ZBC TV now. 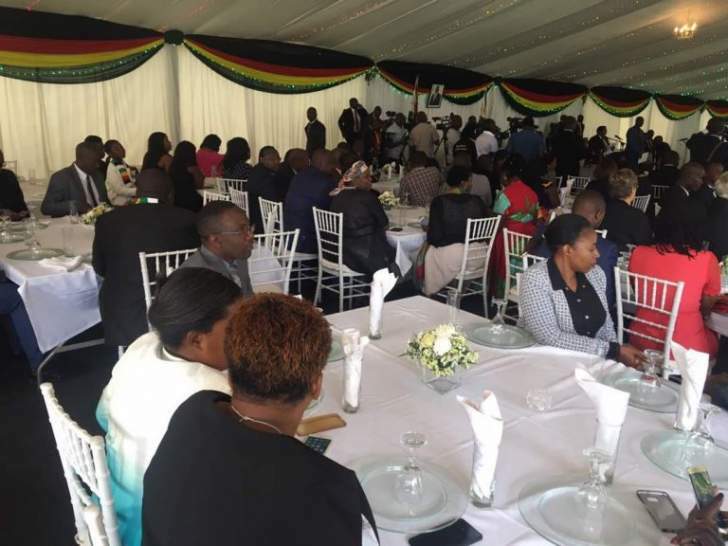 09:00 - Speaking on the sidelines of the swearing in ceremony, Foreign Affairs and International Trade Minister designate, Retired Lieutenant General Dr Sibusiso Moyo says the re-engagement agenda has been successful as a number of countries are warming up to Zimbabwe. 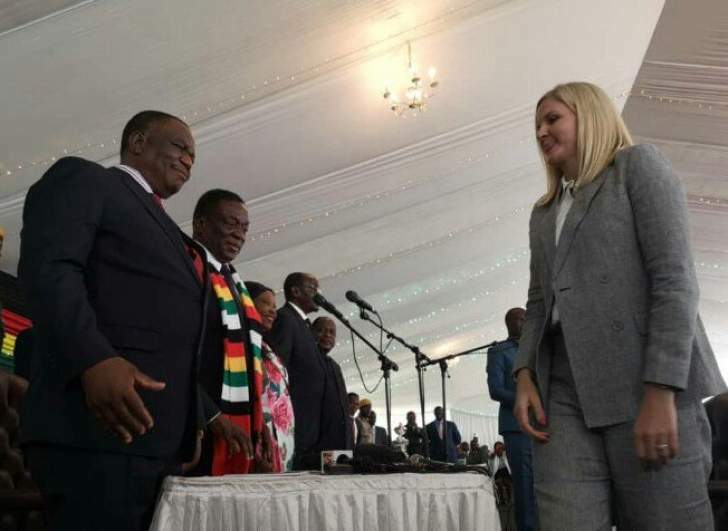 "In terms of participation in the international order, western nations were the first to warm up to Zimbabwe with countries such as Germany, France and the UK sending their representatives to Zimbabwe for further engagements. Zimbabwe has been informing all nations that the country is open for business, hence the need to be treated fairly on the global village." 08:48 - President Emmerson Mnangagwa has arrived at State House and the new ministers and deputies will be sworn-in shortly. 08:32 - The Minister designates take their positions, others greet each others and relatives take their seats at the swearing in ceremony. 08:00 - Deputy ministers and ministers of state and ministers of state in the vice presidents' office are also to be sworn in. 07:35 - Accompanied by by their relatives and friends, the ministers have started arriving at State House. 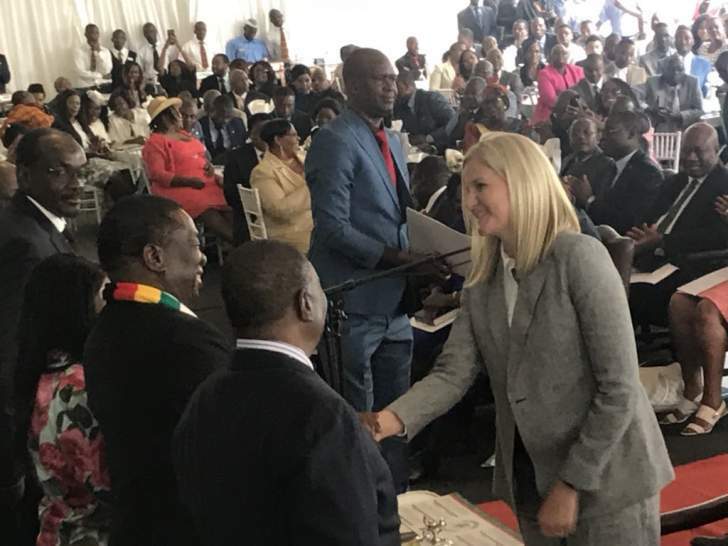 07:10 - Appointed on Friday, the cabinet has been branded ED’s Dream Team by various sectors of the media and new faces in the cabinet are Kirsty Coventry, Professor Mthuli Ncube, Hon. Sekesai Nzenza, Hon. Mangaliso Ndlovu and Hon. Joel Biggie Matiza. 07:00 - The job starts today as the new ministers will be sworn in shortly at State House, Harare.